Gloria Lin has performed at Carnegie Hall, Alice Tully Hall at Lincoln Center, Symphony Space, Kosciuszko Foundation, the United Nations, the Ford Center in Toronto, Suntory Hall in Tokyo, and in China, France, Mexico, Peru, Japan, Spain, and Venezuela. She is a guest at international festivals in Cartagena, Colombia and in Morelia, Mexico; Cliburn at the Modern; and at the Chamber Music Society of Fort Worth. She has been featured on prominent national and international media, including APM’s Performance Today, WNYC’s Soundcheck, national television and radio broadcasts in Colombia, and Japan’s public television NHK. 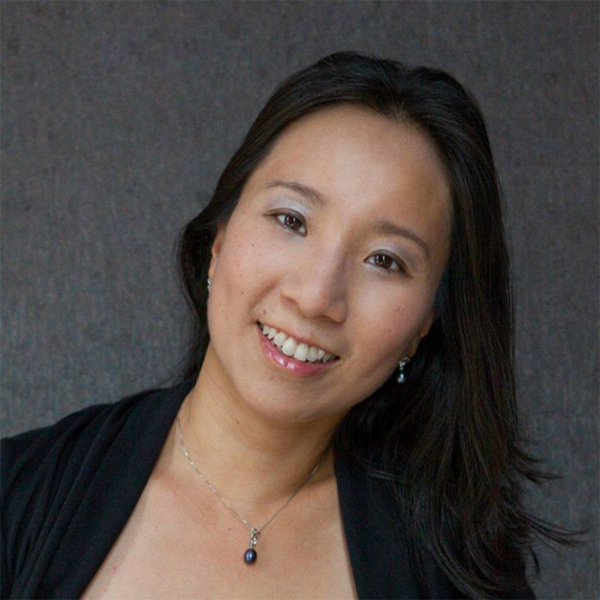 Dr. Lin was educated at The Juilliard School, Interlochen Arts Academy, University of Michigan-Ann Arbor, and Manhattan School of Music, and earned her Doctor of Musical Arts degree at Indiana University-Bloomington. She has led master classes at Beijing’s Central Conservatory, as well as at the National Conservatory in Lima and the Conservatorio de las Rosas in Morelia, Mexico, among other institutions. She currently serves on the piano and musicology faculty at the TCU School of Music in Fort Worth, Texas.